Reserve your spot today! Join GuidePoint Security and sponsors for complimentary cocktails and hors d'oeuvres while having interactive discussions with your industry peers and security professionals. Join Proficio at an exclusive Whitelist party at Libertine Social in Mandalay Bay. Experience Vegas in style with Proficio's founders and executives for an evening of craft cocktails and tasty appetizers. Request an invitation today! This event will book up fast! Join DarkMatter leaders to learn how we're transforming cyber security and what that means for you and the future of the industry. Enjoy delicacies from the Middle East while you network with the most innovative minds in cyber security. Request an invitation today! Join us for food, drinks and an exclusive view into The Immersive Grid. Through the lens of an Oculus VR headset, experience a virtual network cityscape that visualizes threats, enables fast and intuitive response, and prepares a new generation of threat hunters for tomorrow's sophisticated cyber attacks. Kick off Black Hat 2017 right! Don't miss the hottest party Black Hat has to offer. RSVP now to join Distil Networks for a night you won't forget! Party the night away with DJ Jazzy Jeff! Happy hour with Cybereason Wednesday night -- Cocktails, check. Food, check. No sales pitches. No presentations. 5pm, July 26 @ Border Grill, steps away from the Convention Hall. IOActive IOAsis Las Vegas 2017 at Black Hat USA is Wednesday July 26th, 6:00 to 9:00 p.m. Join us for great entertainment, food, drinks and surprises with your security peers. Join Digital Guardian, Wednesday, July 26th for our exclusive event. Come share your IT Security war stories and enjoy black car service, handcrafted cocktails and delectable gastronomy in a sophisticated but relaxed atmosphere! Space is limited, learn more. Description: Flashpoint and Anomali present Distilled. -- a night of classic bar food, craft beers, signature cocktails, infosec trivia, and a lockpick village. DRINKS AND APPS AT THE BORDER: Join F5 and FireEye threat researchers and security experts for drinks and apps (no download necessary). Get updates on threat research and security strategies. Grab your pass from our booths! Join Optiv at LIGHT Nightclub in the Mandalay Bay Resort & Casino on Wednesday, July 26 from 7:30 p.m. - 10:30 p.m.! LIGHT Nightclub features world-class DJs, video mapping, lighting, exciting special effects and performers! Drinks, food, and an onsite cigar rolling station are just a few of the things you can look forward to at the Cisco Black Hat Customer Appreciation Event at the Heart of OMNIA at Caesars Palace. We're looking forward to toasting another great year at Black Hat. Game on! Black Hat's premiere party is back! Take Sin City's most breathtaking elevator ride to the top of the Delano hotel and join ZeroFOX, Symantec, Bugcrowd, LogRhythm, Ixia, WhiteHat Security, Cavirin, Mimecast and ThreatQuotient in our retro arcade featuring over 200 classic video games. Enjoy 180-degree views of the strip while sipping on custom cocktails – PacManhattan, anyone? Registration is required. Join your ISSA friends and colleagues for a members' lunch courtesy of ISSA International. Lunch will take place Thursday, July 27 from 12:00pm - 1:00pm in Room Banyan C on Level 3. Space is limited. Don't forget to stop by the ISSA booth #BB6 in the Business Hall, Level 2. The Executive Women's Forum on Information Security, Privacy & Risk Management invites all women attending Black Hat USA 2017 to our Meet & Greet on July 27, 2017 in Banyan B, Mandalay Bay from 1:00pm - 2:30pm. Join Core Security for our Prohibition Party on July 27th at 7:00 p.m. taking place at the 1923 Bourbon Bar. Be sure to pre-register and bring your badge to the event! Join Wallarm team at PRESS lounge for a breakfast buffet. While you are welcome to ask us about Wallam's adaptive application security solution, we will spare you a formal presentation and let you have your morning cappuccino in peace. Space is limited.  HP is hosting an exclusive invitation only VIP reception. For details please stop by booth #1140 in the Business Hall.